Since 1982, Jodi's Gym has been teaching gymnastics & fitness to NY kids. Our curriculum is un-matched. Our staff is incredible. Our facilities are safe, clean and inviting. We love kids, and are passionate about fitness. We believe we are making a difference with children every single day. We offer programs for children 9 mos-12 yrs old including: Teeny Tumblers (9 -14 mos), Mighty Muscle Movers (12-35 mos), Jodi’s Jumpstart Preschool Alternative (2-3 yrs), Tumbling Tots (3-5 yrs), Ninja Challenge (4-9 yrs), Funtastic Gymnastics (5-12 yrs), Accelerated Gymnastics (6-12 yrs), Advanced Gymnastics (6-12 yrs), summer & school break camps (3-5 yrs), play groups and the best parties ever! Members in our Adult/Child classes enjoy 3 FREE playtimes each week. Jodi’s Gym Summer Camp is a morning of nonstop, action-packed fun! Your child will run, jump, tumble, balance, stretch, sing, create, move, and groove, all under the supervision and care of our well-trained, enthusiastic, friendly and certified staff. Come experience the joys of gymnastics, music, and art. It’s a mix your child is sure to love. Join us in our 34th year! Offered for children ages 3-5. Flexible scheduling (you choose days and weeks)! Camp runs from 9am-12pm, with an option to stay until 1pm. You have so many expectations for your child’s birthday party. Let us exceed them all! When your party is at Jodi’s Gym, you truly have no worries. The needs of you, your child and all of your guests are completely attended to. Parents and kids are bursting with joy during an action-packed hour and a half where kids swing from bars, balance on beams, tumble, climb and stretch to their hearts delight! Parents have so many choices in children’s programming, and there are so many opinions on what programs a child needs. Gymnastics has always been and will always be one of the best activities for a child. Children need to move…in all different ways. Gymnastics provides that. There is no other sport that encompasses so many skills. We are a group of people who absolutely love children, are passionate about fitness and are dedicated to providing you with the best experiences possible. You truly won’t find a more attentive, caring, enthusiastic, and knowledgeable staff anywhere! Our teachers are carefully selected based on their knowledge in both child development and gymnastics. Each teacher is USA Gymnastics Safety Certified, CPR certified, First Aid certified, and background checked. In addition, they go through an extensive Jodi’s Gym training program that is unmatched. An early movement foundation helps children grow up to be healthy, active adults. A child who is having fun will be excited to learn. We are making a difference in the health and fitness of children everyday. As early as Jodi Levine could walk, she was tumbling. Jodi ultimately became a national-level gymnast. In 1982, she started Jodi’s Gym, launching the first gymnastics-based “Mommy & Me classes” in NYC. 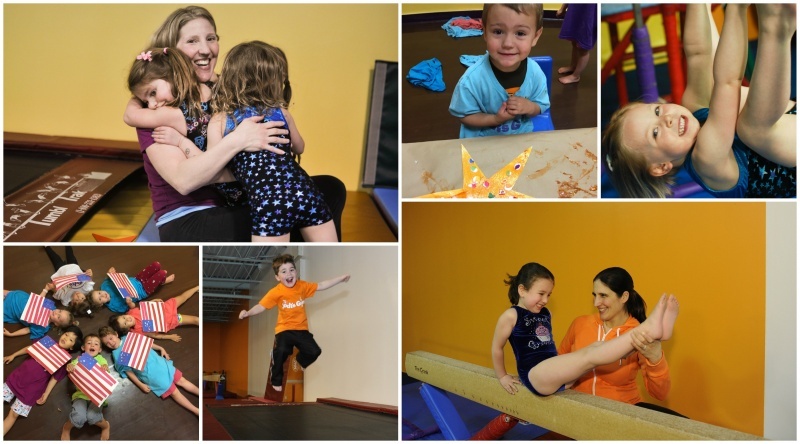 At Jodi’s Gym, Jodi leverages her more than 40 years of experience in gymnastics to create well-balanced programs that focus on all aspects of a child’s development. 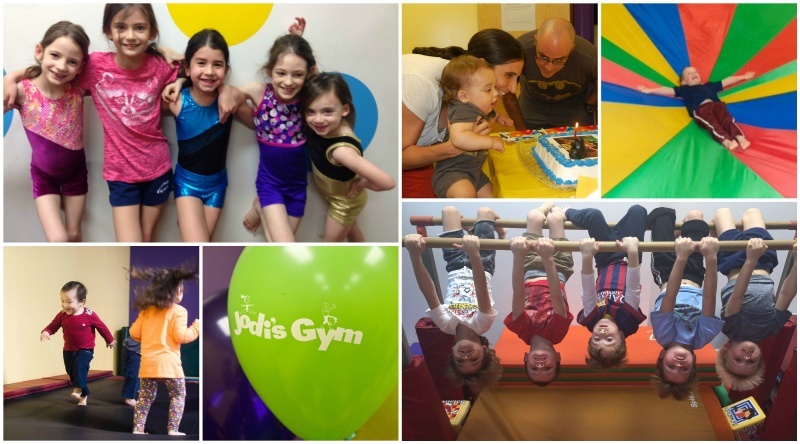 Jodi’s Gym offers classes in gymnastics, music, and art, in addition to a variety of camps, birthday parties, and off-site “Jodi’s Gym To Go” programs in Manhattan and Westchester County.